When you work with HTML web resources, There might be situations where you need data about the CRM. “ClientGlobalContext.js.aspx” gives the Context information out side of the CRM FORM. Add another HTML page as a webresource but with the following Code. Why do we use Web Resources? Where can we use Web resources? What are the major Limitations for Web Resources? 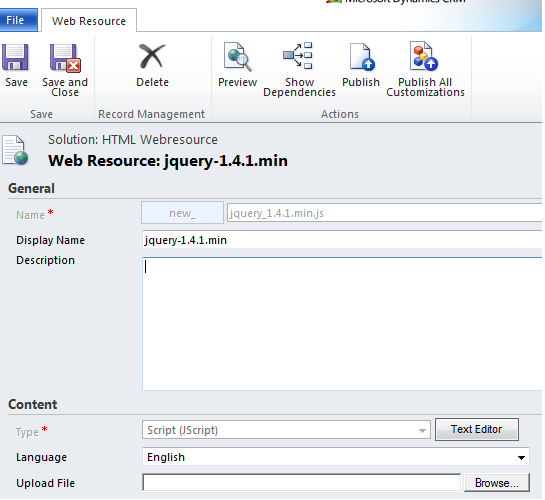 Web Resources are Limited to Static Files or files processed by browser only. How to refer web Resources? Use Relative URL where the $Webresource directive is not supported.